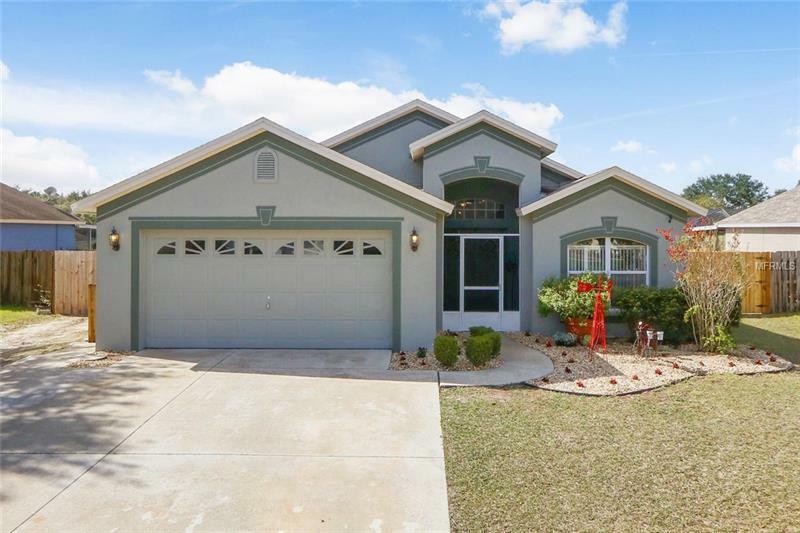 Beautiful home located in the quiet neighborhood of Boyette Springs. This home has many features to enjoy! Extended driveway, double door entrance leads to spacious family room, French door Den perfect for an office or guest room. Enjoy the space of the kitchen that features a large windowed breakfast nook. The master bedroom with a walk in closet has a private on suite with walk in shower, and soaking tub perfect to relax in after a long day. Hallway with 2 additional rooms share a bathroom. Laundry room or utility room leads to garage. Covered screened lanai perfect for BBQs with a covered grilling area. The backyard has a large concrete slab with a new 2018 shed for all your storage needs. You won't want to miss this home! Boyette Springs has its own park with playground, basketball court. Amazing schools include Boyette Springs elementary, Barrington Middle, and Newsome High.